Please join us on our journey through Holy Week to Easter at First United Methodist Church. Worship services are offered on Maundy Thursday and Good Friday. On Saturday, we join together on the west lawn of the State Capitol for a community-wide Easter Egg Festival with face painting, games, the Easter Bunny, and a traditional egg hunt and egg roll races. On Easter, we celebrate Jesus’ life, death, and resurrection. Please see service and event details below. 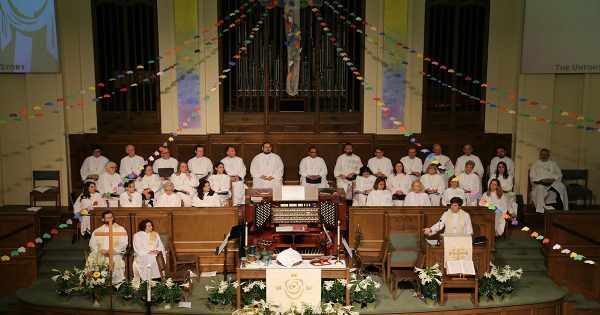 If you are new to FUMC, please visit our New Here? page to learn more about our pastors, Rev. Taylor Fuerst, Rev. Michael Mumme, and Rev. Cathy Stone. We wave palms as the people welcome Jesus to the Holy City, and then we continue our journey with Him to the cross. Gather with Jesus and his friends in the Upper Room to celebrate the Holy Meal and experience the washing of feet. Childcare for infants and toddlers is provided for the 7:30 p.m. evening service. 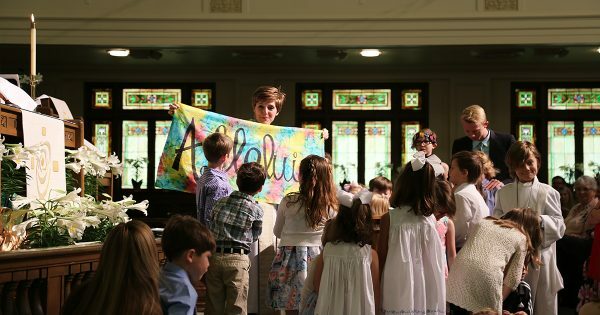 Experience the stories of Christ’s life through Easter with age-appropriate storytelling of passion week and walking the Labyrinth. Wear socks! Childcare for infants and toddlers is provided for the 10:30 a.m. Family Service. We experience Christ’s crucifixion through reading scripture, prayer, and singing hymns. 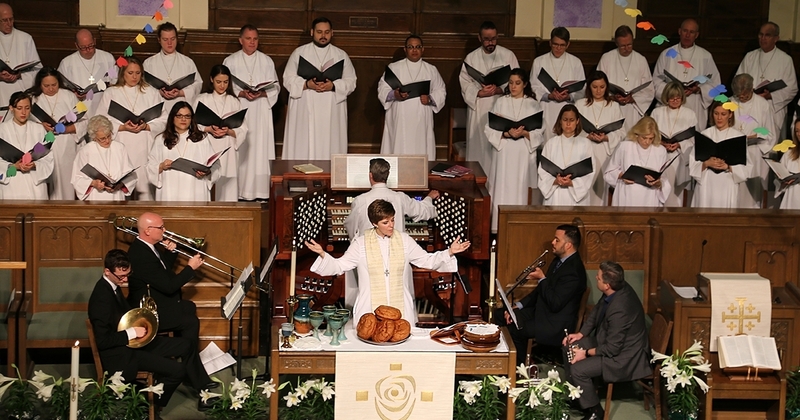 We experience Christ’s crucifixion through Tenebrae, a service of darkness, with special music from the FUMC Choir. Childcare for infants and toddlers is provided for the 7:30 p.m. evening service. 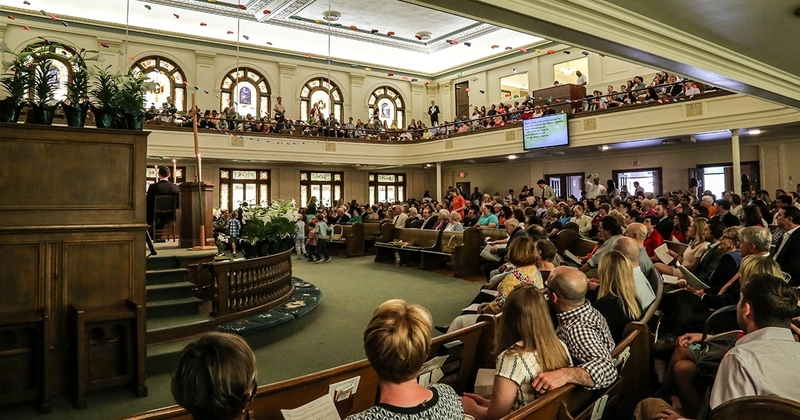 Parking is available in the Trial Lawyer’s parking garage at Lavaca and 13th Street during the 7:30 p.m. evening services on Maundy Thursday and Good Friday. For noon services, parking is available at meters and in the church parking lot. 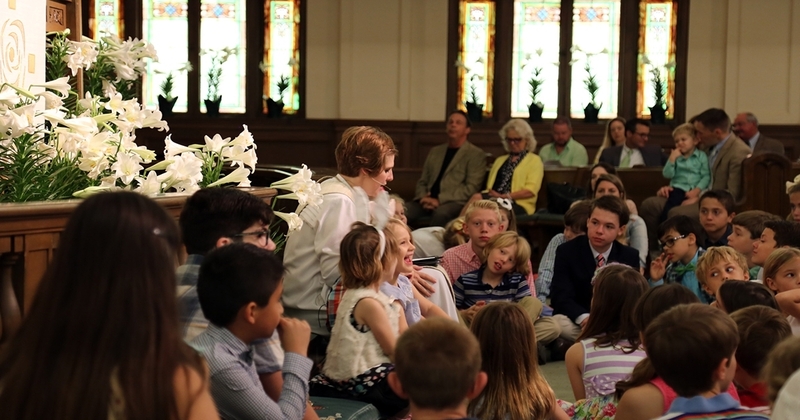 FUMC hosts an annual Easter Egg Festival on the Capitol Grounds at Colorado and 12th Street. This event is open to the public, so you may bring your friends and non-perishable food donations for Caritas of Austin. Join us on the Capitol lawn for face painting, crafts, games, preschool egg hunts, and elementary school egg roll races! A visit from the Easter Bunny is a special tradition. Learn more. Celebrate God’s victory over the powers of sin, oppression, and death in two identical services with Communion and full choir. Childcare for infants and toddlers is provided for both the 9:00 a.m. and 11:00 a.m. Easter services. Enjoy the beauty of resurrection and new life as we release butterflies on the Capitol lawn.